"Just wanted to thank you very much for your help so far! I used to score in the mid-high 400s, now I consistently score around high 600s - low 700. Hopefully by June i will be scoring in the high 700s. Well anyways, this was just to thank you and show how your SAT book helped me." 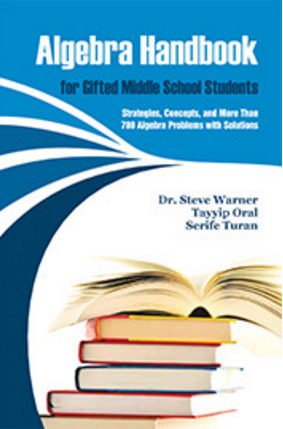 * Click the following button to purchase the books in PDF format for $97. * Click the following button to purchase the books in paperback for $167. 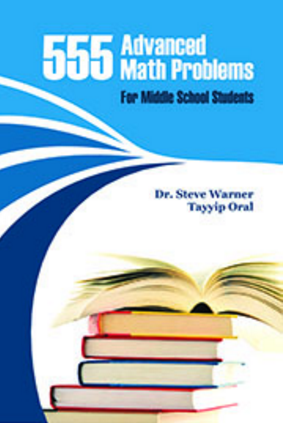 * Click the following button to purchase the books in PDF format for $59. 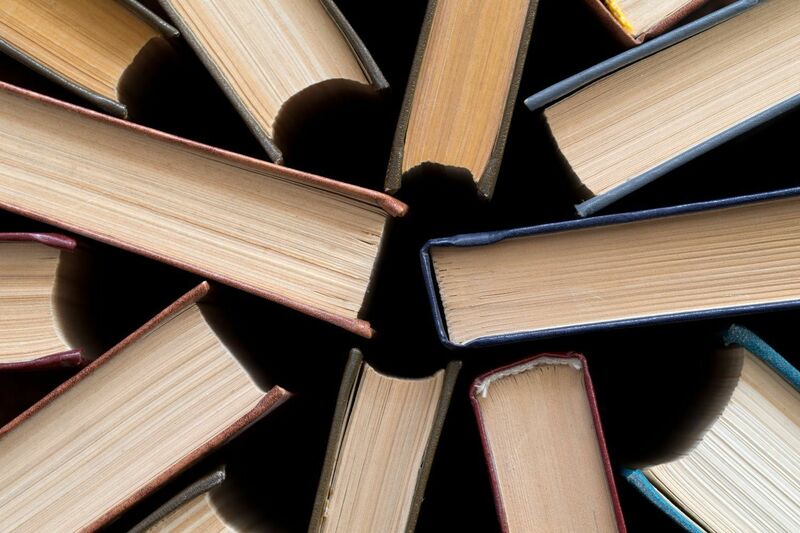 * Click the following button to purchase the books in paperback for $99. advanced SAT math student. 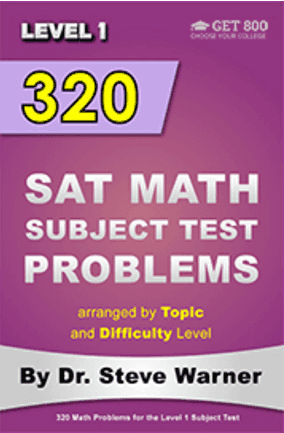 This book is for the revised SAT beginning March 2016. 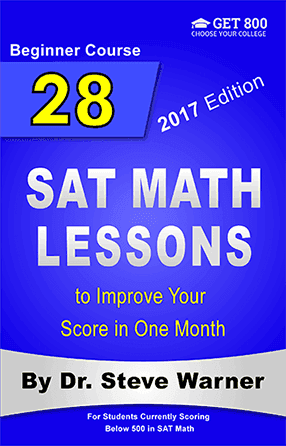 Strategies, techniques, and problem sets for students currently scoring above 600 in SAT math. 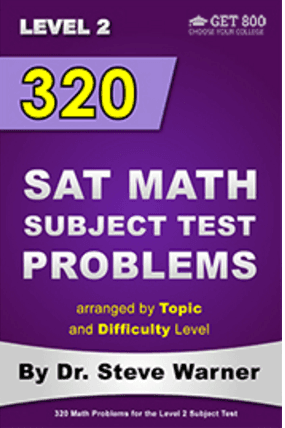 This book is for the revised SAT beginning March 2016. Strategies, techniques, and problem sets for students currently scoring between 500 and 600 in SAT math. 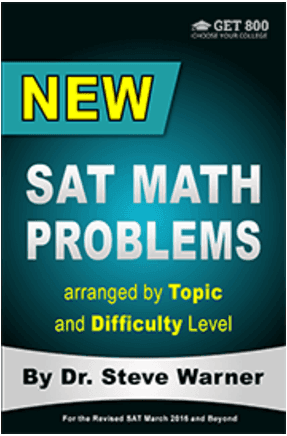 This book is for the revised SAT beginning March 2016. 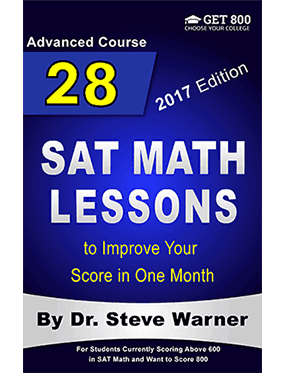 Strategies, techniques, and problem sets for students currently scoring below 500 in SAT math. 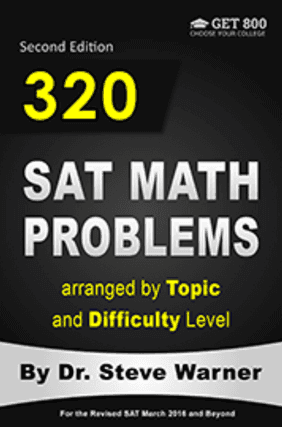 This book is for the revised SAT beginning March 2016. 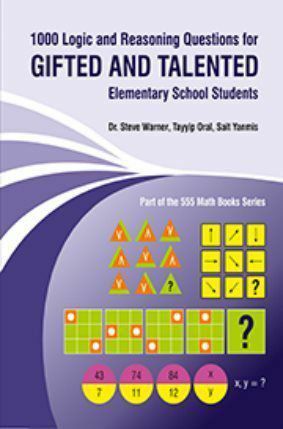 The problems in this workbook are arranged by topic and level making it easy to pick out the problems that you need to focus on. 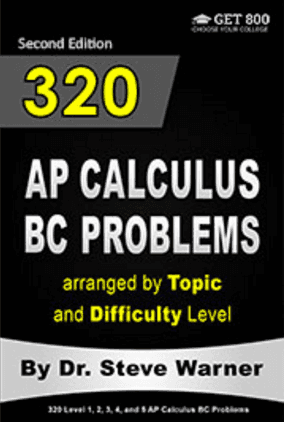 This book is for the revised SAT beginning March 2016. The problems in this workbook are arranged by topic and level, making it easy to pick out the problems that you need to focus on. 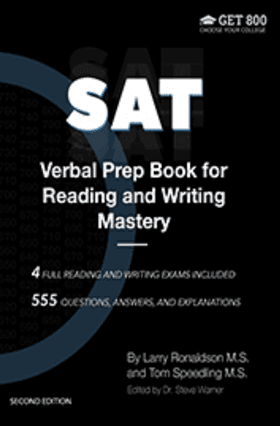 This book is for the revised SAT beginning March 2016.
verbal score on the SAT. 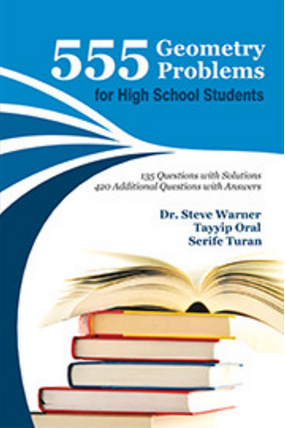 This book is for the revised SAT beginning March 2016. All Dr. Warner's unique tips, tricks and tactics for solving SAT math problems in less time while eliminating careless errors. 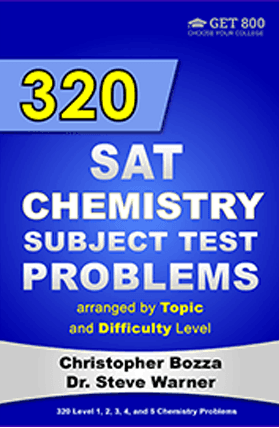 The problems in this book are based on the SAT's old structure. 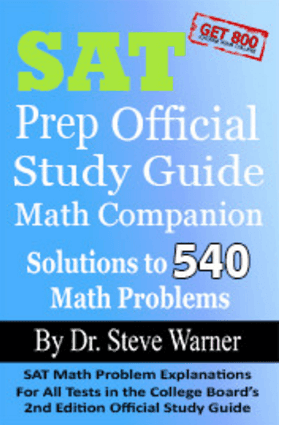 Solutions to all 540 math problems in all 10 tests from the 2nd Edition of the College Board’s Official Study Guide using all of Dr. Warner’s unique strategies. 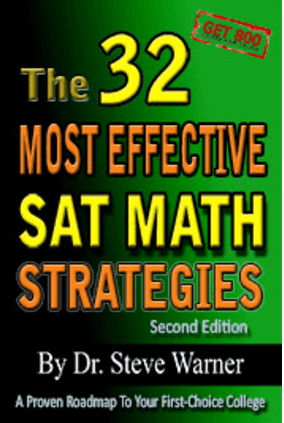 This book is for the old SAT. 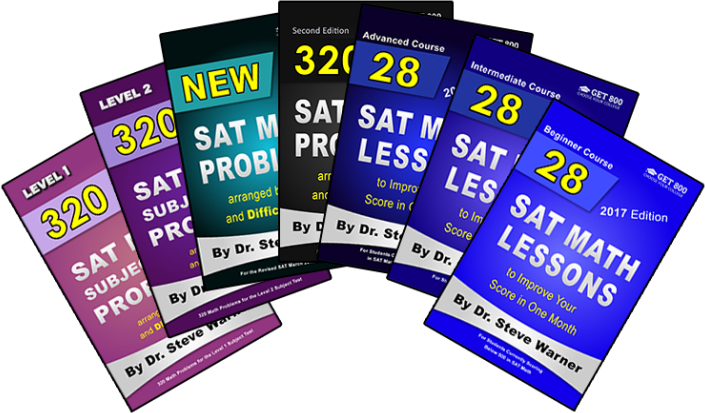 the SAT in the most efficient and effective way possible. 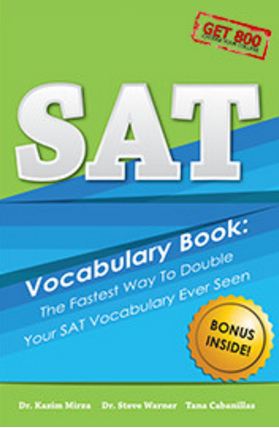 This book is for the old SAT. 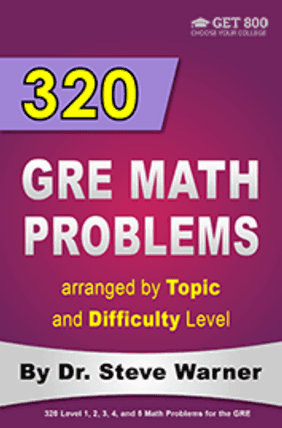 by topic and level, making it easy to pick out the problems that you need to focus on. arranged by topic and level, making it easy to pick out the problems that you need to focus on. 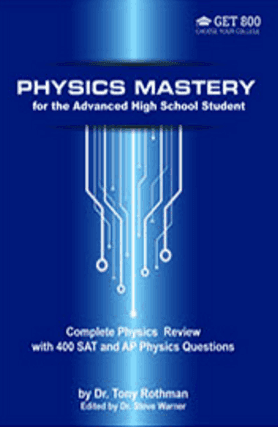 school physics, emphasizing topics covered on the SAT subject tests and AP Physics 1 and 2 exams. 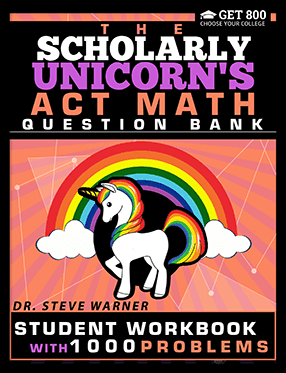 The problems in this workbook cover all of the topics on the SAT Physics subject test and AP Physics 1 and 2 exams. 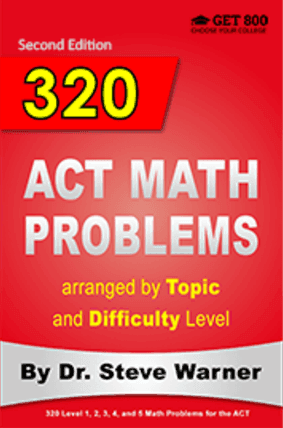 1000 ACT math problems arranged by topic and difficulty level. 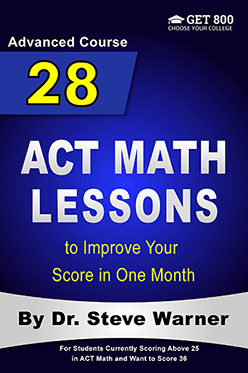 Strategies, techniques, and problem sets for students currently scoring above 25 in ACT math. Strategies, techniques, and problem sets for students currently scoring between 20 and 25 in ACT math. 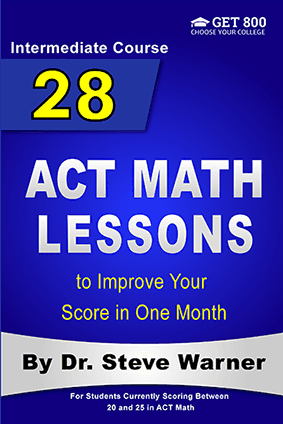 Strategies, techniques, and problem sets for students currently scoring below 20 in ACT math. 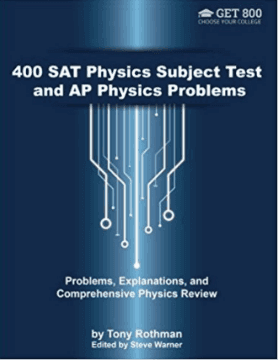 physics, emphasizing topics covered on the SAT subject tests and AP Physics 1 and 2 exams. 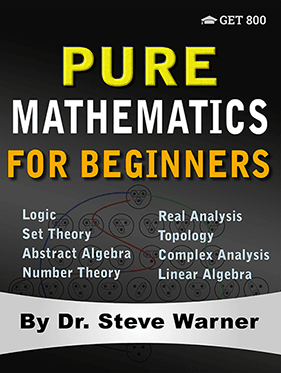 Increase your mathematical skill level quickly and efficiently while learning real mathematics. 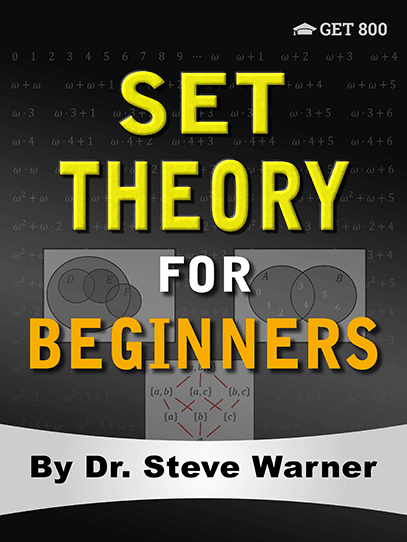 Learn basic to intermediate set theory the right way. 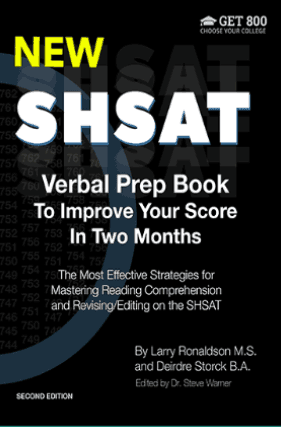 Learn the most effective strategies to increase your verbal score on the SHSAT. 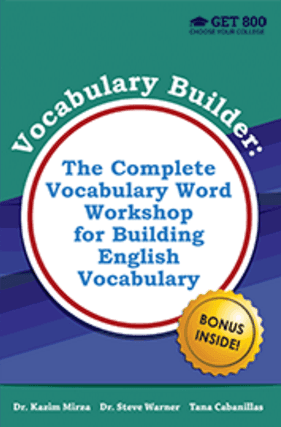 Learn vocabulary in the most efficient and effective way possible. 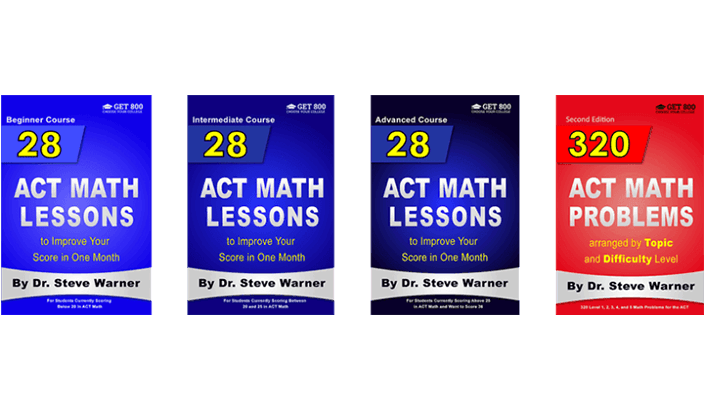 Develop the problem solving skills necessary to excel in school and on standardized tests such as the SAT and ACT. The techniques taught here will allow students to arrive at answers to algebra questions more quickly and to avoid making careless errors. The techniques taught here will allow students to arrive at answers to geometry questions more quickly and to avoid making careless errors. 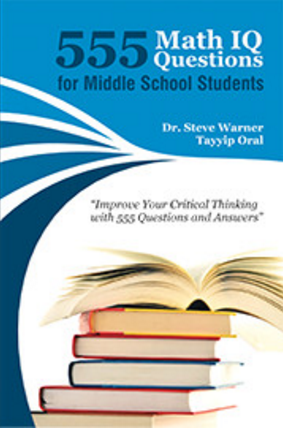 The techniques taught here will allow students to arrive at answers to hard middle school questions more quickly and to avoid making careless errors. 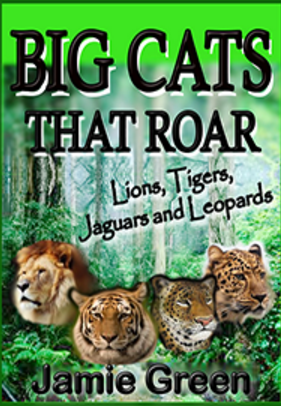 This concise book is filled with generally unknown facts about lions, tigers, jaguars and leopards (the big cats that roar) that everyone of all ages can appreciate.